This Glycolic Acid peel is a great formulated peel for all skin conditions, this is the heavy duty stuff that you can use at home. I recently reviewed another Glycolic acid product which you can read about here, however this particular product I’m reviewing now has a higher amount of acid turning it into a chemical peel for those who want something stronger for their acne and acne scars. When I say stronger I mean 30% acid which makes this a product only recommended to use once or twice a week and even then it’s a product that some skin types might not be able to handle due to some burning. If you want to try it just know that this product is “designed to help reduce the appearance of wrinkles, uneven skin texture, fine lines and other signs of aging. It penetrates the epidermal & dermal layers of the skin, removes dead skin cells, minimizes appearance of pores, and increases skin’s absorption rate”. According to their page and given the composition of Glycolic acid and my personal experience I can agree with their statement. This product exfoliates and cleans the pores which is perfect for acne and the burning increases collagen stimulation which is perfect for acne scars and wrinkles. 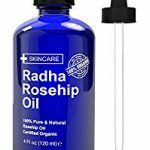 Add the different extracts that help with inflammation, provide vitamins and minerals to the skin and you get a well-rounded product that will provide you with many benefits. Aside from the knowledge of Glycolic acid being used in most professional chemical peels, the company has great products and the Amazon reviews to prove it. This product gives you the ability to do your own chemical peels at home at a fraction of the cost. This brand is very effective and the company creating it takes this seriously manufacturing their product on an FDA approved environment. 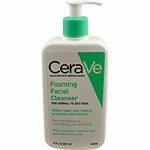 Make sure you fully wash and clean your face before applying this product, use it at night since there might be some redness and you do not want any sun exposure after using it. To apply the product, you can put a few drops on a cotton swab and rub it on your face, you can also use your clean finger. First time you use it I suggest you put it on a small area of your face and only for 30 seconds before washing it off. Mild redness and burning is normal, if it is too much to handle stick to 30 second use. If you can handle it, start using it for 30 seconds, then move up to 2 minutes, then 5. Use it 1 to 2 times a week, don’t overdo it and do not go beyond the 2 times and the 5 minutes’ period, this is serious stuff and can really burn, extra care is important. As soon as you wash it off I suggest using a moisturizer like the one I always recommend on the Red/Dry skin page. Always use a moisturizer with any acne product and this particular one will also provide the sun protection needed. This amazing Glycolic acid peel is an excellent product for those wanting to try out chemical peeling, there are great products on this site, so I advise you to try them first before going for the heavy guns. If you believe you need it this is a great product to try chemical peeling for a great price. This peel helps all types of skin conditions and would be a powerful ally in your treatment. If you have any questions or comments don’t hesitate to ask and I’m certain this product will help you on your path to Beautiful Clear Skin. Hi Victor, thanks for reviewing this great product. 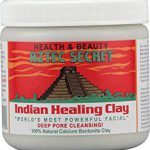 I was searching for a product which can seriously remove the dead cells from my face. I never tried any such acidic peel on my face but after knowing about it, I think I must try once. I have many creams but nothing worked out. It’s definitely worth a try, this product works wonders on your skin removing dead cells and increasing collagen production giving you a smoother flatter skin, good luck, thanks for reading. I have some friends who’ve tried chemical peels in an office setting and I’ve heard that it’s expensive. I wasn’t aware that there was an at-home method which offers similar results. If this is just as good as what doctors charge steep prices for then I’m guessing that the doctors must be worried. I remember when dentists used to charge a small fortune for teeth whitening until products came out for a fraction of the cost that people could do at home. This product was made by Perfect Image a company that uses the same formulas as professional chemical peels, this product is just as effective as the ones on those offices. I’ve have tried the professional chemical peels and noticed I got the same results from using this product, so I never went back, it is worth the try. I completely agree, it is just like it happened with teeth whitening, thanks for reading. thanks so much for shaing your tips on using this glycolic acid peel .Glad to know it can be bought at Amazon as they do have really competitive prices. You mention using glycolic acid only in the night, is this to say it is not suitable for sensitive skin or as long as one is careful it should be ok. I rarely use facial or skin peels as my skin is light and very sensitive,but I tried microdermabrasion and found it to be gentler on the face. But,will check out some other of your recommendations and products and see what I can use,i prefer something mild that I can use on body and face. My recommendation for using it at night was mostly due to the fact that this peeling will turn your face a bit red, so it would be better to avoid the Sun and of course so nobody notices you did something on your face. This peeling is very safe as long as you follow all instructions, it can also be used by people with sensitive skin you just might have to leave it on your skin for less time. As someone who also tried microdermabrasion I found the recovery time to be longer than using this peeling which you can control how long you leave it on your skin. Overall I believe peeling is worth the try and of course using a moisturizer at all times to keep your skin hydrated and smooth. I only recommend products that work, so take a look around the reviews page, thanks for reading.